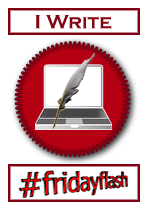 Posted by techtigger in flash fiction, WeSeWriMo. This is it! The 8th episode for WeSeWriMo, woohoo! This kicks off a new story line, and starting friday I’ll be back to the regular once-weekly schedule. Thanks everyone for cheering me on throughout the month – it’s been hard to do 2 episodes, but a lot of fun as well. I will definitely be doing this again next year. A flash of memory hit Grimm as the pin caught the light. Auburn hair, leaf green eyes, and his own feather insignia hanging on a slender, tanned neck. He blinked and the memory was gone. Her face lit up. “He does? Ooh, do I have any left?” She dashed back into her room and started tossing clothes back in the closet to unbury her dresser. Grimm got up as the doorbell rang. “I’ll get it,” he said, but Nox whisked past him, smelling faintly of jasmine and starflowers. She flashed him a smile and all but flew to the door. Just has Grimm had predicted, Loki had her blushing in seconds. They walked out arm in arm, neither taking their eyes off the other. He let out an amused snort, and settled down to a blissfully quiet day with his book. He was happy that she was happy, but it was spilling over through their soul-bond and making him feel giddy. Which was bad enough for a guy, but at his age it was undignified. Another memory surfaced – this time it was a name. Katya. Bittersweet memories, love and loss, underscored by the mocking voice of the Shadowkin, “betrayed by a woman…“ The hound rested his head on his paws, and wondered if some of the holes in his memory were there because there were things he did not want to remember. The tolling of bells in the clock tower caught Nox and Loki off guard. “A carriage won’t make it, but we can always ride,” Loki said. “And what business is that? Dodging irate boyfriends?” she teased. He laughed and gave her a wicked smile. “Leading maidens astray is my specialty. Sit side-saddle.” He gave her a lift up and swung up behind her. She wrapped her arms around his waist and rested her head against his shoulder, and for once, she actually enjoyed a horse ride. Loki scowled at him. “I was thinking the same thing.” He dismounted and lifted Nox down. “Would someone please tell me what in the Hel is going on here?” Nox said. WeSeWriMo is coming to a close, and this wraps up the mini-series. There will be one more episode on tuesday, and then back to the regular schedule on fridays. “And here I thought the guy was supposed to protect the girl,” he said, with a rakish grin. “Pfft. Chauvenist,” she said, but returned the smile. “The castle defenses are still intact, so the Morning Lord should have a hard time disturbing them again,” she said. “I just wish we could have gotten to the ones that were stationed along his borders. I hate the thought of leaving them scattered like that. One ghost knights, Evan, appeared next to Grimm. “Those on the borders have been gone too long, there was nothing you could do for them. Those that remain though, are in your debt. Not only did you risk your life to bring us back, but you also risked oblivion in the hereafter in your fight against the Shadowkin. “ He floated up until his head was on a level with hers. “For this, and your ceaseless efforts to aide our Captain,” he said, with a nod to Grimm, “I am honored to name you a Knight of the Winds, and welcome you into our ranks.” The ghost solidified enough to place a silver pin, shaped like a feather, on her collar. Nox was stunned. She had idolized the knights as a child, learning every story she could about their fight against the House of Shadows. While here, they had become her friends as well. But never in her wildest dreams had she thought she would be asked to join them. “Th.th..thank you!” she stammered. The rest of the ghosts appeared, and raised their swords in a salute. Lucien’s guards cheered as well, banging their spears against the ground. A week later, Nox was back in her workshop. She looked around at the familiar clutter, thinking how small it looked after the vast, empty halls of the House of Winds. She had only been gone a few weeks, but it felt like her whole world had changed. She reached up to touch the silver feather, and smiled. Sometimes, change was good. “Growl back, you’re bigger than it,” she said, laughing. Nox picked up letters that had piled up under the mail slot and headed upstairs. “I missed this couch. I used to sleep on the ground all the time, but after few months of living here, I have gotten spoiled.” He shifted enough to make room for her to sit. Nox leaned back against his side and closed her eyes. The apartment was small, but it was home. And it was good to be back. WeSeWriMo is coming to a close, and I’ll be wrapping up the min-series this week. There was no trace of Grimmalkyn left in the creature that faced off against Lucien. It barely looked like a hound anymore – mad, glowing red eyes hovered over a gaping maw, and tendrils of an oily black substance dripped down its sides and oozed across the floor. The ground was littered with dead and dying Chimaera. Behind him, Lucien could hear the moans of wounded men, and the calm voice of the medic, Jens, as he worked to get them back on the line before the next attack. “What are you waiting for?” Lucien thought, as he studied the battlefield. The key to winning any battle was to understand your opponents’ strategy. No more Chimaera had been called though, and the nightmarish beast stayed just out of arrow range. Which, Lucien had to admit, was a smart move on its part. If he could close with the creature, he could destroy it. Out of the corner of his eye he saw something move on the floor, but the only things there were corpses. He thought it was just a trick of the light until something else moved. First one corpse, then another started to jerk and twitch, and he realized each one had a black tendril plunged into its guts. “Ready the line!” he shouted, and the men tightened up ranks. A wave of animated corpses attacked, their eyes glowing red like the beast’s. From there on out the battle was utter chaos. The Chimaera were already dead – the only way to stop them was to chop off every limb, and render them immobile. As soon as one went down, the oily tendril would pull back to burrow into another corpse, and send it shambling at the defenders. It was not so much a battle as it was butchery, with each side trying to do as much damage as possible before they fell. Lucien drew in energy and sent razor sharp spikes of ice shooting up from floor to ceiling. Each spike impaled a Chimaera and left it hanging above the floor. The attack bought him a few moments to bring in the reserve troops, but no more than that. The creatures simply ripped themselves off the spikes, and returned to the fight despite the gaping holes in their bodies. Lucien called out new orders to his men, and pulled in energy for another assault. Grimm let out a tired laugh, and his armor creaked as he tried to gain some traction to keep them from sliding. “That was some fine shooting, short-stuff.” His sword was still planted in the ground by his foot, but the ground itself had started to wash away. “Why not? I dance with him every time I try a new experiment.” She leaned back out to look down the Road. “HEY, YOU! YES, I CAN SEE YOU. I WANT TO MAKE A DEAL,” she yelled. A sound rolled out from the end of the road, so deep she could feel it in her bones. Nox looked up at Grimm, wide-eyed and shaking. “I honestly didn’t think he’d respond,” she said, in a small voice. He squeezed her shoulder, and then wrenched the sword out of the ground and sheathed it in one smooth motion. The invisible tide slammed into them, pulling them in opposite directions. Nox reached out and snagged one of his armor straps. “Grimm!” The tide spun them around till she was completely lost. She had no idea where the Road was, or if they were already on it. His hand gripped hers as a bright light raced up to meet them. She tried to hang on, but the tide was too strong. “Don’t let go!” she cried. There was a sharp pain in her head, and then everything went white, and fell silent. One by one, the Chimaera’s eyes flashed electric blue before collapsing in heap. There was no mistaking Nox’s aura signature, and the men let out a ragged cheer. Lucien yelled out a command, and every man left standing charged. Lucien threw up his arm as the beast leapt at him, and jammed his forearm between its teeth. The creature clawed at Lucien’s sword, but the Ice Lord merely let it drop and slapped his armored hand against beast’s head. A glyph etched in the palm of his gauntlet glowed, and the beast shrieked with all the voices of the Shadowkin at once. It let go of Lucien and thrashed wildly as its body slowly turned to ice. Lucien reached down to pick up his sword, and raised it for the killing blow. Afterwards, Lucien was never exactly sure what happened. A sound hit him, so deep and profound it left him stunned. The black aura around the beast turned a brilliant gold, and for an instant, like an after image from looking at a bright light, the silhouette of a large man in armor stood in its place. The last of the Chimaera fell, and as the light faded, a big, furry hound materialized. Grimm shook himself from head to foot, and looked around in dismay. “Where is Nox?” He lifted his nose to the wind to catch her scent, and ran out towards the city walls. Grimm found Loki in what had been a guard tower on the outer defenses, sitting with his back to a marble tomb. His head was bowed, and he had Nox cradled against his chest. Everything for a quarter mile around them had been burned to the ground, the stone melted into puddles like wax. The only things intact were the tomb, and one scared, exhausted horse. “ow,” Nox whispered, but they did not hear her. Grimm rolled his eyes and muttered “I am drowning in sugar,” but he was grinning as he said it. Welcome to the next episode for my WeSeWriMo challenge. I’ll be wrapping up this min-series next week. Grimm could sense when one of the ghosts crossed the threshold between the realms of the living and the dead. He had run off as soon as the first one passed over, hoping to catch the perpetrator in the act. Unfortunately, the enemy technomancer had caught him instead. Grimm had entered one of the crypts at a run and gotten hit straight between the eyes with a spell. The next thing he knew, his spirit was hurtling down the path to the Long Road and somewhere along the way, like always, he changed back from a hound to a man. The Shadowkin were waiting for him there. They surrounded him, over eight hundred malevolent souls that wanted nothing more to destroy the last remnant of the House of Winds. There was only a moment to choose – try to regain control of his body, or keep the Shadowkin from getting to Nox through the soul-bond she shared with him. Which was no choice at all, really. Grimm placed himself defiantly between them and his friend, and hoped that he could buy Nox enough time to get help. He called in every favor the Long Road owed to him, and settled in for an ugly fight. The Shadowkin were not trying to delay him this time. They were spending their un-lives recklessly in an attempt to wipe him out. Every time he cut through one of his enemies, they were dragged off by the invisible tide that draws spirits to their final rest. There were always more to take the place of the fallen though, and Grimm was slowly being overwhelmed. He had just taken another vicious hit when the Shadowkin made a rapid retreat. There was a sharp tug in the ever-present tidal pull that nearly knocked Grimm off his feet. Then another caught him, and another. It was like standing in rough surf, and the waves were dragging him back towards the Long Road. Just in front of him a small spirit materialized. “No, you are just very small,” Grimm teased. He gave her a lop-sided smile, a lump forming in his throat. He had wanted to see her in person one day, but not like this. “Boom,” Grimm finished for her. He had seen the results when technomancy went wrong, and it was never pretty. Grimm shifted his stance again. The tidal pull was getting stronger, and he had to dig in his feet to stop them from sliding closer to the Road. He turned so that she wouldn’t see the lie on his face. “We get you home,” he said. He spun his sword point-downward and dug it into the ground next to his right leg, and braced his foot against it to stop them from sliding further. There was no need to keep the sword at the ready. The Shadowkin would not bother risking themselves when all they had to do was wait. “Do you think you can reach them?” Grimm asked, as he shifted to stand behind her. “I have their names. I can’t miss.” She muttered the start of a summoning spell, and recited a name three times. “Malketh. Malketh.” She drew back the bow, and in the distance one of the shadows was pulled closer to them. “MALKETH!” The arrow leapt out and flew straight to its target, exploding in a shower of electric blue sparks. The spirit shrieked and collapsed, falling into the invisible tide. This is the next episode for WeSeWriMo, the web series writing month. As part of the challenge, I’ll be trying to do two episodes per week for the entire month of August. Enjoy! “All too true, milady.” He waggled a finger at Loki. “Just you take good care of her, young sir, or there’ll be harsh words between us.” A yell for a medic came from the lines, and Jens hurried out of the room. They pelted through the castle to where the rest of the troops were guarding the horses and supplies. Nox grabbed her satchel and hung it around her neck, to avoid having it bang against her back. Loki saddled up Sybarite and gave Nox a leg up onto the horse. He swung up behind her, and they cantered out past the guards through the castle gate. “Hang on tight,” Loki said. He snapped the reins and yelled “hyah!” Sybarite took off like a shot, his iron-shod hooves ringing on the cobblestone streets. Nox huddled down as close to the horse’s neck as she could get without banging her nose on its bobbing head. Loki reached past her leg to tap a carved stone in the horse’s tack, setting off the earth casting embedded in the stone. The ground ahead of the horse’s hooves smoothed out perfectly flat as the earth energies flowed outwards around them. It didn’t take long for a pack of Chimaera to find them. The first one stood blocking the road, a bull with ram’s horns and a stingray tail. Loki urged Sybarite to run faster. As they closed in, the earth casting lifted the cobbles beneath the beast and tossed it to the side. By the time the bull staggered to its feet they had already galloped past. Nox put out a hand to keep Loki from stepping inside. “Hold up, there are bone fragments everywhere.” She crouched down and picked up a piece, causing the faint remnant of an aura to glow around it. Her brows knit together as she concentrated, and the glow spread outwards to surround every piece of bone in a silvery corona. “Okay, let’s hope I remember that cantrip mother taught me.” She muttered an arcane phrase, and the bones twitched and moved closer together. Bone dust flowed across the floor and filled the gaps in the bones. A misty shape began to form. “Tyrus, you are summoned!” she said. James woke up with his mouth hanging open and his cheek resting on a puddle of drool. Again. He really should have gotten up off the couch and gone to bed the night before, but he just couldn’t see the point. He had been unemployed for over a year, and the money was running out. Most of his furniture had been sold and replaced by pizza boxes, or ratty old pieces like the couch that he had found while out dumpster diving. He had written the last rent check two months before, and it was only a matter of time before his landlord put him out and called in a hazmat team to clean up the mess. Hell, he should probably stick around to watch that, maybe the hazmat guys would take pity and clean him up a bit too. From the smell of his clothes, he needed it. James flicked on the power for the Atari, another dumpster find that miraculously still worked. He jammed in a cartridge and was about to settle down for another thrilling day of blowing up asteroids when the phone rang. He didn’t jump up to answer it. Long experience had taught him to screen his calls for trolling creditors. By the time she had gotten to the word ‘resume,’ James had jumped off the couch, gotten tangled in the joystick wires, tripped, banged his toes on the sofa leg and fallen just short of the phone. He reached up and knocked the receiver off its cradle and dragged it to his ear. “Hello? Hello? This is James! Damn, where’s that pen…” He snagged a pizza box and a sharpie, scribbling madly all over the lid. “Uh huh, yes, sure! Keeping the client confidential is fine. Yes, I’ll sign a form to that effect. One hour? Uh, okay. Yeah, I can be there. Thank you!” he said, and hung up the phone. A quick inspection in the bathroom mirror told him that he was long overdue for a date with a razor. He got showered and shaved in record time, and pulled out the one pristine object in his entire apartment – his interview suit. Forty minutes later he was flagging down a cab and handing over the last of his cash to make the trip across town. Celestial Temps operated out of a typical office park. There was nothing to differentiate it from the hundreds of other buildings that grew up like mushrooms on every flat stretch of land for miles around the city. The only thing of note was a large, white sedan with diplomatic plates parked out front. James smiled to himself. Government work could mean big dollars, and he had learned to keep his lips shut during the legal debacle that had wrecked his former employer. Stella was right, he was more than qualified to keep an execs’ dirty secrets. Two security guards, who probably wore their Ray-Ban’s 24/7 stood outside a conference room door. They frisked him and ran detectors over him before waving him inside. The man waiting there was not what James had expected. He looked like a strung-out junkie, thin with wispy hair and a nervous tick under one eye. His suit was impeccable though, and almost blindingly white. He waved to the chair across from him. “Have a seat, James. I’m glad you decided to accept the call.” He said the last word as if it held a special significance. James gave him a professionally polite smile. “How could I resist so charming a girl as Stella? I’m sorry though, I wasn’t given your name,” he said, and held out his hand. James settled back in his chair. “Is that important for the job?” he asked, a little surprised, what with all the anti-discrimination laws. Later, James looked down at his crisp white suit, and had to laugh. If deities were just temps, it was no wonder everyone had a different idea about God. Or Gods, for that matter. Not to mention the mess they all made of the world. The earth didn’t come with an instruction manual, and each year the new King of Kings had to figure out how things worked while simultaneously trying to make deals with his fellow supreme beings. James still didn’t know what would happen when his year was up, but he was betting the retirement benefits were phenomenal. He straightened his tie and grinned in anticipation. It was time to get down to work. This is the third episode for WeSeWriMo, the web series writing month. As part of the challenge, I’ll be doing two episodes per week for the entire month of August. Enjoy! Nox sprinted through the castle, her feet slipping on damp, moss covered stones. Twice her feet slid out from under her as she took a corner too fast, but she just picked herself up and kept running. All her attempts to reach Grimm through their soul-bond had failed, and she was getting more panicked by the minute. She skidded through an archway into what had been a small courtyard garden. Tangles of vining roses and centuries of fallen leaves made a thick, prickly carpet on the ground. There were arched entryways on the other three walls as well, and none of them looked familiar. Nox spat out a curse – she must have made a wrong turn somewhere. She thrust her fist into the air and sent up an electric blue flare from her aura to try and signal Grimm or her father. It never crossed her mind that others might be watching. A stuttering yowl drifted out from the far entryway, followed by glowing yellow eyes. Nox froze in place. “Aw, crud. No ghosts to hold back the Chimaera. Stupid move, Nox,” she said to herself. She quickly ran over her options, and came up with a blank. She didn’t have a single weapon or tool on her, and there was no way she could outrun it. Almost everything she did with Ice used a touch of Air as well, and that would only bring more of the creatures. No help for it though, she had to do something. The Chimaera stalked out into the courtyard. It was same type that had attacked the waypost, a huge feline with long spines running down its back. Nox knew all too well what its claws could do, so her aura shield was useless as well. It mirrored her movements as she backed towards the door, and let out another hair-raising yowl. It was toying with her, like a housecat does to a mouse. “C’mon, girl, you’re smarter than this critter, think!” Her eyes darted around the courtyard, looking for anything she could use. The walls were all solidly built, but there were some small cracks she could work with. She flicked a hand at the wall next to her, and icicles sprouted out sideways like rungs from a ladder. The Chimaera roared and lunged for her as she scampered upwards, just missing her with a swipe from its claws. It backed up and took a running leap at her. Nox flattened herself against the wall and made long, sharp spears of ice sprout out all around her. The Chimaera screamed as it slammed into the spikes and dropped back to the ground. It reached out with one of its claws as it fell though, and left bloody scores down Nox’s back. Her own screams joined those of the creature, and it was all she could do to hang on. The Chimaera limped back towards her, leaving a trail of gore in its wake. Some of the broken-off spears still hung out of it, and it let out pained snarls as they snagged on the vines. Even so, Nox could see it was getting ready to jump again. She numbed her back and made the agonizing climb up the last few feet to a second-story balcony. She pulled herself over the edge and crawled away from the opening. Once she was back inside, she slapped her palms down on the floor and sent ice snaking down through every little crevice. The creature hit the wall with a thump, and started clawing its way upwards. Nox began to shake from blood-loss and the effort of creating so much Ice without summoning any Air to hasten the process. One set of claws latched onto the edge of the balcony, and the creature’s snarling face came up as well. A second set of claws dug into the stone, but as its full weight hung from the balcony there was a loud CRACK. Something akin to hatred filled the creatures’ eyes as it hung there, and then the balcony tumbled to the ground below, smashing the Chimaera beneath it. “Tell me something I do not know,” came the cool, sardonic answer. Nox staggered to her feet and leaned against the doorway next to Loki. This is the second bi-weekly episode for WeSeWriMo, the web series writing month. As part of the challenge, I’ll be doing two episodes per week for the entire month of August. Enjoy! It was Grimm’s turn to be studied by Nox. She picked up his paws, turned them this way and that, and made lots of hmmm sounds before scribbling madly in her notebook. He had no idea what she was looking at, but he was more than willing to be patient while she worked. He still could not believe he had one of the elemental keys, or figure out why Lord Galen would have given it to him. The souls of over eight hundred Shadowkin were trapped in his head, and only his and Nox’s combined willpower kept them in check. The mere thought of what they would do with the power of a key made him shudder. A warm breeze blew through the ruins of an ancient guard tower on the border between the territories of Wind and Ice. It flattened the grass around the tower and roused its guardian from his crypt. Gerard had been a Wind Knight in life and now, as a ghost, he still watched over his post, keeping the Chimaera from escaping into the valleys beyond. He knew there were many farms out there, and even cities beyond the horizon, though he had never seen them. They had all been built long after he died. He drifted to face the wind, trying to decide what it was that had disturbed him. It was early yet for the air to be so warm, but summer had often come swift and hot to the mountain plateau. He let the breeze carry him out further from the tower, and floated up higher to get a look at the surrounding countryside. Nothing moved, except for the long grass swaying in the wind. By the time he realized what had drawn him out, it was too late. Pain like he had not felt since the day he died shot through him, and he rushed back to the tower with the last shreds of energy he had. Glowing yellow eyes filled the dark room around where his crypt now lay broken – his bones were all shattered into tiny pieces. A voice rolled out of the gloom. “Go, children of the Shadowkin. The guardian will stop you no longer.” Chimaera poured out of a portal into the tower in a seemingly endless wave. Gerard made a last desperate effort to sound the alarm, but a pudgy, balding man stepped out into the light and held up the last unbroken bone. “Goodbye, guardian.” There was a loud crack as he broke the bone over his knee, and the ghost faded away. Miles away, Grimm stopped mid-sentence. The hound threw his head back and let out a keening howl. “What’s wrong?” Nox asked, looking around in alarm. Grimm’s eyes changed from grey to brimstone red. “Someone is destroying the ghosts,” he snarled, his claws digging furrows in the stone beneath his paws. “Please, calm down. You’re losing control, Grimm!” She tried to hold him back, but he brushed her aside. He let out another keening howl and disappeared, leaving Nox standing alone. “Bloody Hel,” she cursed, and ran full tilt back through the abandoned castle to warn her father. This week starts WeSeWriMo, the web series writing month. As part of the challenge, I’ll be doing two episodes per week for the entire month of August. Enjoy! She flicked a cautious look over her shoulder, and Loki followed her gaze. Lucien was standing within earshot, talking to one of his guards. “Point taken,” he said, quietly. He put his shirt aside, careful to keep his eyes, hands, and everything else off of her. Lucien still hadn’t said a word to him about his request to court his daughter, and Loki did not want to blow it before he got an answer. “Hmm, interesting,” he said, but he was already having trouble keeping his thoughts on the lecture. Her hair always smelled like night-blooming flowers. A few dark strands had escaped the silver clip at the nape of her neck, and brushed against his skin as she leaned closer. Focus, Loki, he thought. He glanced to the doorway, and could see Lucien watching the two of them with that steely, ax-murderer look every father seemed to get when he was near their daughters. Loki sighed inwardly. Considering how much fun he’d had earning his bad reputation, he never thought he would have reason to regret it. “Sorry luv, but you have already stripped me down to my breeches. I do not have any paper hiding on me,” Loki said, grinning at her enthusiasm. “You’re welcome?” he said, not quite sure what he did to deserve her thanks, but he was not about to argue. Loki could not help but laugh at seeing the stern, sober Ice Lord get spun around by Nox. The look on Lucien’s face was priceless. “How in the Hel did you ever have a daughter like that?” he asked, still chuckling.